Under the rule of Lenovo, Motorola has turned its direction into a budget-friendly brand, covering the mass market. With the release of Moto G4 and G4 Plus, the Moto G 2015 edition will surely drop in price, and the predecessor definitely packs a powerful punch. 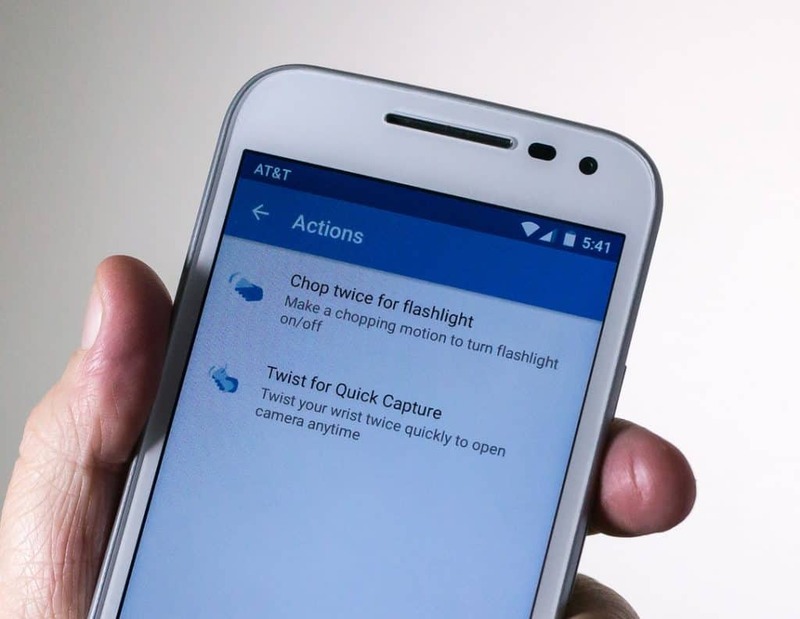 One of the notable features that the Moto G 2015 is Gesture Control, which it has adopted from its older brother, the Moto X. Let’s have a look at how to activate and use gestures on Moto G.
Despite being packed with phenomenal features, Moto G is a budget device, which is why it is not equipped with screen-off gestures. However, Moto G comes with proximity sensor gestures – Chop gesture to activate the flashlight, and Twist gesture to quickly activate the camera app. These gestures were first introduced with the original Moto X back in 2013, and work equally well on the Moto G.
On your Moto G, tap on the apps drawer and look for the Settings app. In the Settings menu, scroll down to find the “Actions” tab. Simply press the gesture motion to activate the one you want. Despite the motion gestures being a bit awkward, they are perfectly registered by the phone every time you try them out. Do you find the gestures on Moto G 2015 useful at all? Let us know your experience with the Moto G in the comments section below.